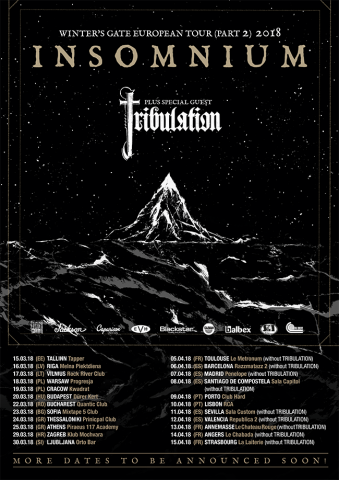 The Swedish metallers Tribulation released a video for the song "Lady Death", which, along with the previously unveiled song "The Lament", will appear on the band's forthcoming album "Down Below". "Lady Death" with the track "Skärselden" was released as a 7-inch EP on December 22 this year. "Down Below", which will be the fourth album of Tribulation, will come out on January 26, 2018, via Century Media Records. 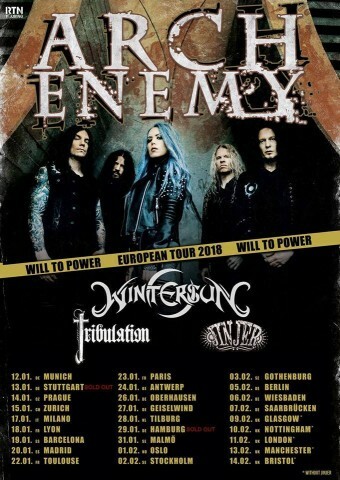 For January and February, the band has planned a joint tour with Arch Enemy, Wintersun, and Jinjer, and for March and April — with Insomnium. All concert dates can be found below. Photo from preview by Ester Segarra.